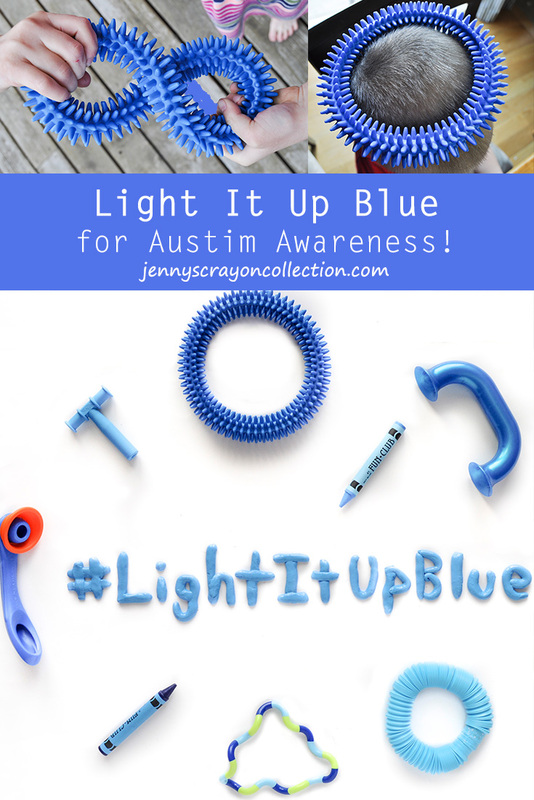 Are you ready for World Autism Awareness day this year? What and when is it? It is on April 2nd. The theme this year is Light It Up Blue for the whole month of April. There will be several activities around the country and many landmarks will be lit up blue also. How can you participate? You can wear blue on April 2nd, go to some events, help friends and neighbors with autism, help it trend on social media, or come up with your own unique ways to help. 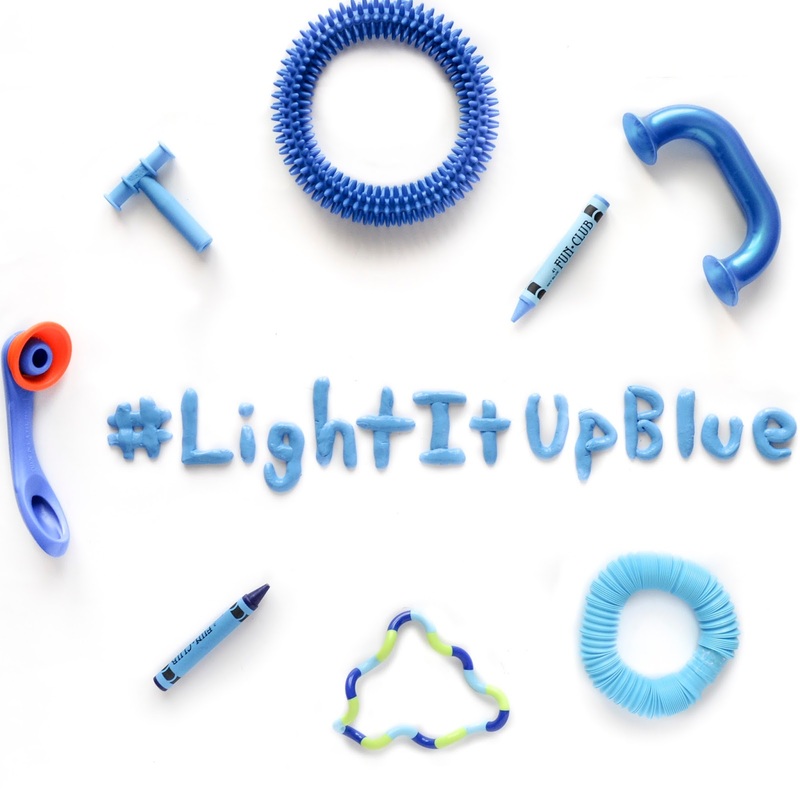 The hashtags I have seen so far for the Light It Up Blue are #LightItUpBlue and #LIUB. Here is a list of activities for the US. Some of them are for those with autism and some are for those that want to help with autism. Type in your city and see what is around you. *This is a sponsored post, all views expressed in here are my own and I only take sponsored posts I believe in. They have hand picked the most effective toys and tools in each category. The prices are very fair and they even they offer discounts to larger orders for schools. This month they have "$0-$200 Receive 20% Off!, $201 - $400 Receive 30% Off!, $401 + Receive 40% Off! All Orders Receive Free Shipping!" What did I think of the toys they sent me? We liked all of them. My kids could not wait to play with them. 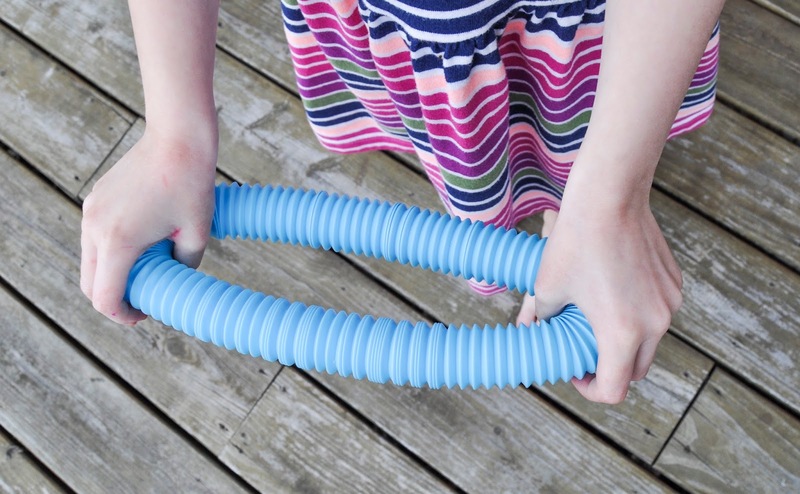 My sons favorite without a doubt was the Slinky Pop-Toobs. He opened this over and over. He loved the sounds it made, loved listening to the whistle sounds, and loved manipulating it into different shapes. My kids also loved the Toobaloo and Whisper Phone Element. My kids loved talking into them and hearing their voice amplified. I loved the Tangle Jr Classic fidget toy. I fidget a lot, this keeps my hands busy. And of course one of my favorites were the crayons. These are jumbo crayons by Alex. Special Needs Essentials also sent an Aku Ring, Theraputty, and a Chewy Tube. The ring can be used for catch and manipulating. 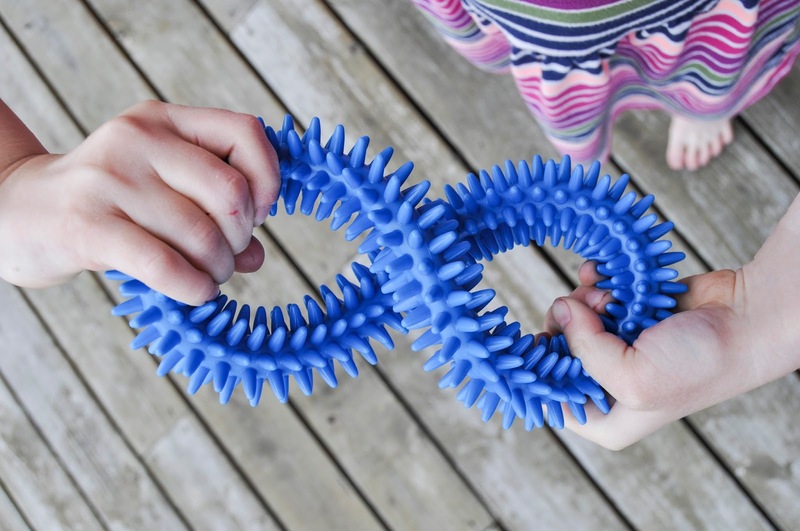 The Theraputty comes in different strengths and can be used to help with hand strength and for play. The chew toy can be used for practicing biting and chewing skills. My daughter playing with the Aku Ring. My daughter playing with the Theraputty. While reviewing their website I also tracked down my own list of favorite and popular toys. Some of my favorite toys from their website are; the MAGIC BRIX - BUILDING BLOCKS 72 PC and the SEE-ME SENSORY BALL - 4 PC TRANSLUCENT. The Magic Brix are poky and interlock with one another. The sensory ball has little spikes on it that kids go nuts over. Some of the most popular toys they sell are; Tactile Discs, each disk has it's own color and texture, the Gonge Riverstones, these help with balance and coordination, and earBanZ, ear protection headphones that block loud noices. Check out their website today. They are super helpful, you can call, email or chat with them. It will be really easy to find out exactly what you need.